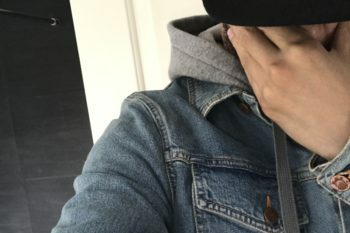 You may have seen pics of some massive hands over a bridge on Instagram and thought “whats going on there?” Well, let’s give you the full story. 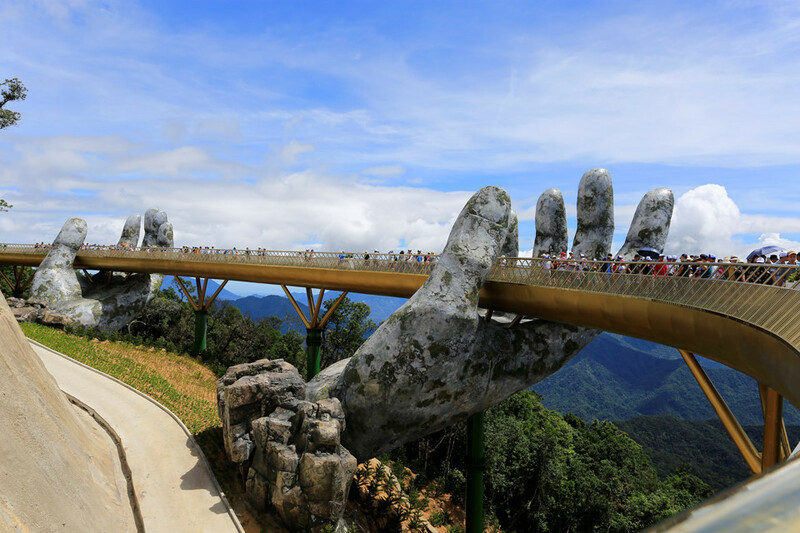 Vietnam has just erected their new Golden Bridge which is Located 1,400 meters above sea level on the Ba Na Hills, the 150-meter walkway was organized by TA Landscape Architecture. 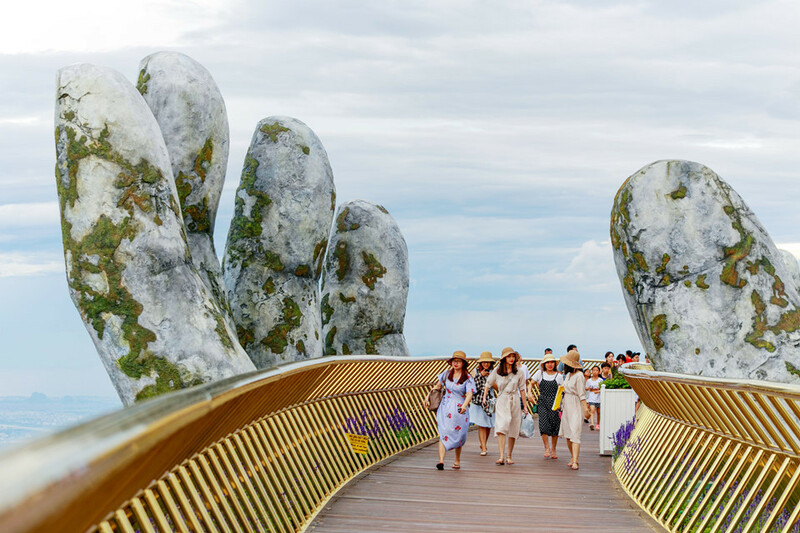 The bridge is supported by massive hand sculptures made of stone (take a look at the video below) and is decorated with a row of Lobelia Chrysanthemum flowers complementing the balustrades clad in gold paint. 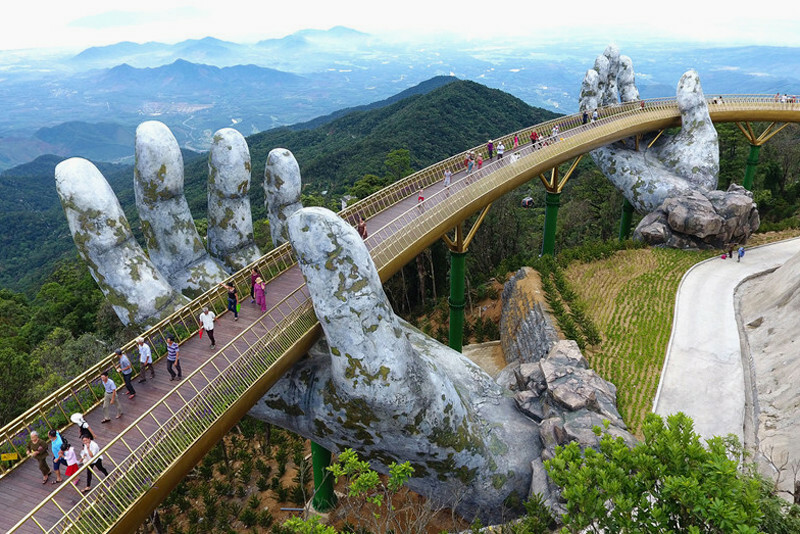 The project cost approximately $2 billion USD as a way to attract tourists to the nearby Thien Thai Garden, as per The Spaces.